The Politiko revealed the brand of boots she wears when she rides her two-wheeled toys. 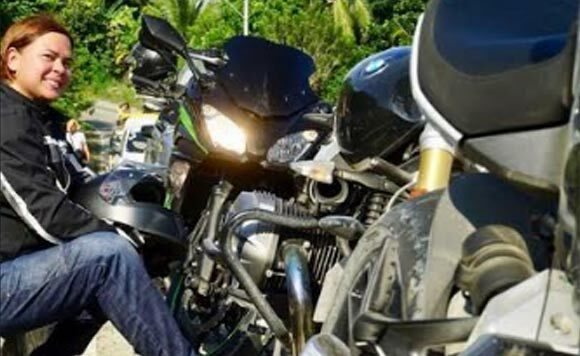 When it comes to leisure riding, Presidential daughter Inday Sara Duterte Carpio comes in full gear. On her Instagram, the Davao city Mayor recently revealed the brand of her riding boots. Mayor Inday, on a post on Tuesday afternoon, replied to a follower and said that she’s wearing TCX, a popular outdoor footwear brand. Mayor Inday is often spotted patrolling Davao City on her wheels. She owns a Yamaha XSR900 which she fondly calls Ella. Yamaha XSR900 is a 2016 motorcycle model which features a neo-retrostandard, in-line triple engine. Omar Duterte’s wife: He is the one! © 2019 - Politiko Mindanao. All Rights Reserved.